As welcoming as the sparkling waters of the ocean on a sunny day, the black and white Aloha Invitation is an important addition to your next Hawaiian or island event. 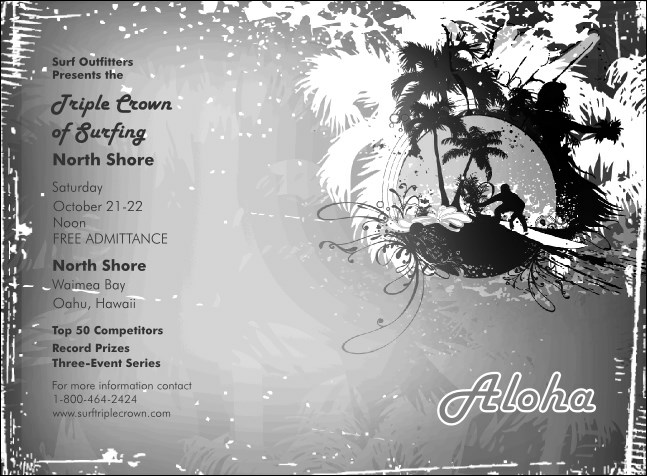 Complete with a surfer cresting a wave beneath a grove of luscious palm trees, this invitation is designed to delight your guests. Don’t let your next event get swept out with the tide! Find a matching event kit at TicketPrinting.com.